Plan ahead with what to do with Thanksgiving leftovers. 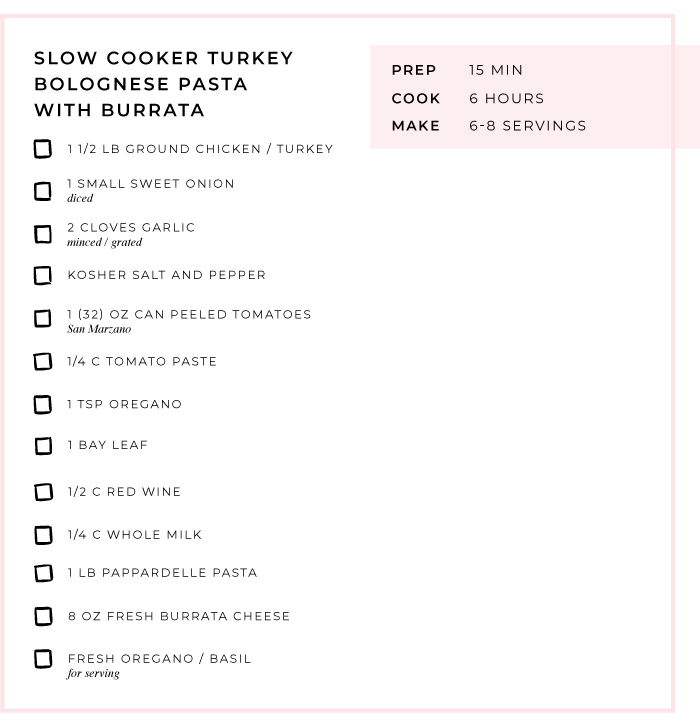 This turkey bolognese pasta brings comfort and warmth for pasta and cheese lovers. We’re drooling over this recipe from Half Baked Harvest! Heat a the olive oil in a large skillet over medium high heat. When the oil shimmers, add the ground chicken and onion. Season with salt and pepper. Cook, breaking up the meat with a wooden spoon, until the meat is browned all over and the onion soft, about 5-8 minutes. Remove the skillet from the heat and transfer the meat to your slow cooker. Add the garlic, tomatoes, tomato paste, oregano, bay leaves, red wine, and milk. Stir to combine. Cover and cook on high for 4-6 hours or low for 6-8 hours. Just before serving, bring a large pot of salted water to a boil. Cook the pasta according to package directions, until al dente. Drain. 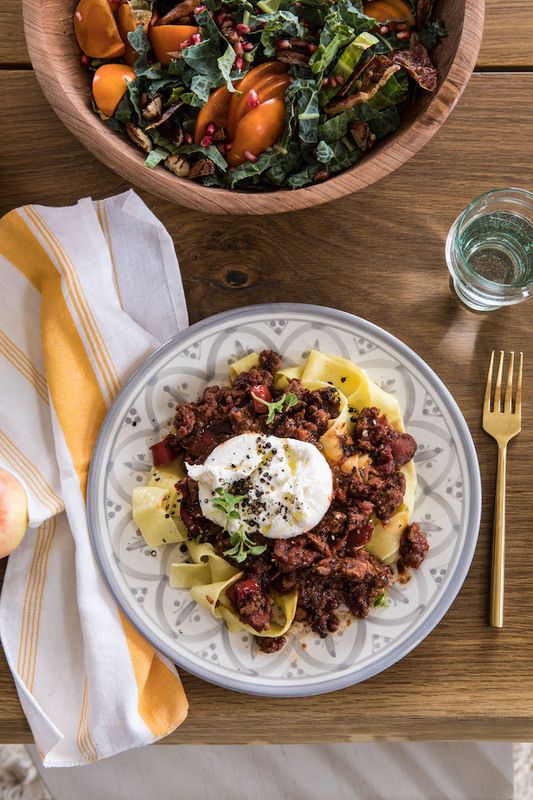 To serve, divide the pasta among plates and ladle the Bolognese over top. Add the burrata and sprinkle of fresh herbs. 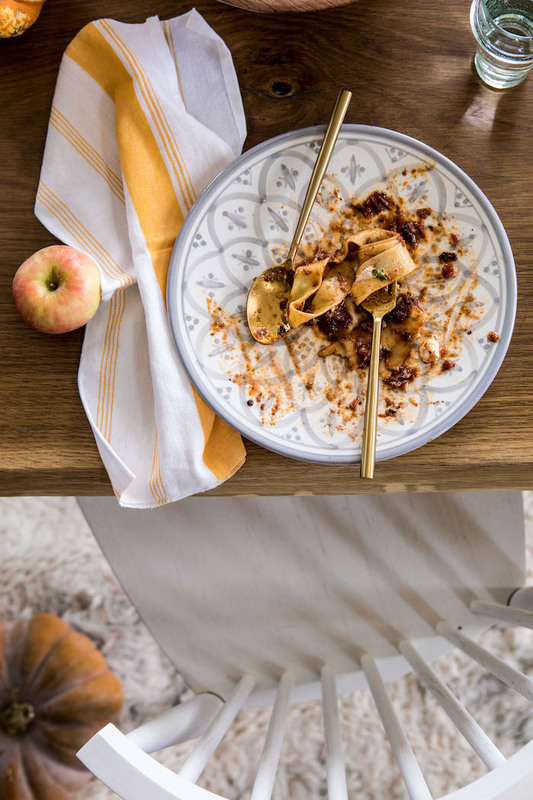 Shop the fall tablescape collection and see more recipes from Half Baked Harvest here.